Washington lawmakers opposed a proposal that would cut federal funding to Special Olympics, a stance President Trump is retreating from as well, the Associated Press reported. The education budget put forth by Education Secretary Betsy DeVos would eliminate $17.6 million from the organization’s budget, amounting to about 10 percent of total revenue of the Special Olympics. Dave Lenox, president and CEO of Special Olympics Washington, said its branch receives $200,000 in federal funding. Rep. Cathy McMorris Rodgers, a Republican, and Sen. Patty Murray, a Democrat, voiced disapproval of the education department’s plan. “This is not about tough choices, this is about you prioritizing your agenda over students with special needs,” Murray said. DeVos defended the proposal, saying that the Department of Education had to make “tough choices” and asserted that the Special Olympics can be supported through private donations. Lenox said he doesn’t think that DeVos understands that the federal funding does not go toward the Special Olympics competitions. 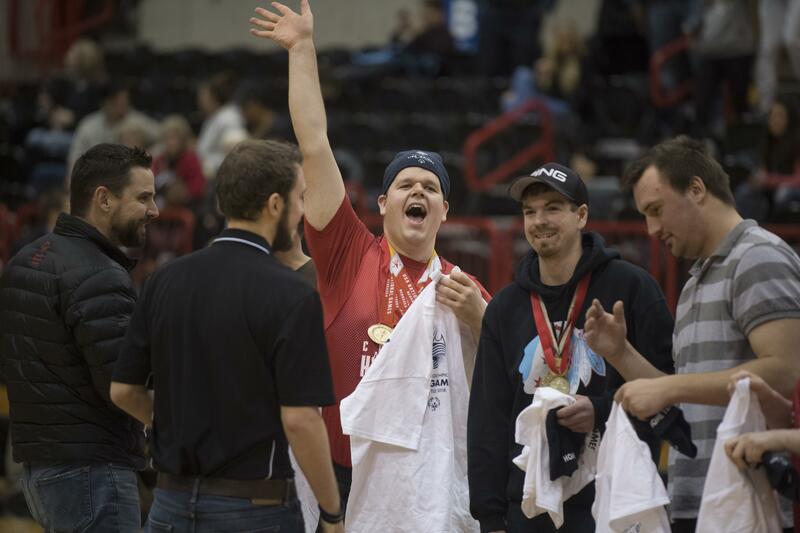 Special Olympics’ federal funding goes toward the Unified Champion Schools program, which sets up sports teams at schools where half of the players have intellectual disabilities and half do not. Published: March 29, 2019, 5 a.m.